A Look at Who Newcastle’s ‘Final’ Signing Should Be? Following Newcastle's loss to Chelsea on Saturday evening, Pardew said he expects Newcastle to make just one more signing in the coming week before the transfer window slams shut at 11:00 pm on Friday night. Here, we have a look at who this 'final' signing could be. As is always the case, Newcastle have been linked with an unbelievable number of players over the Summer – over 200 – and the calibre of the players linked to the Toon have varied enormously. One can normally predict which of the rumours have substance and which have merely been made up by the ‘red top’ newspapers who are struggling to find a story. But three names have been continuously linked to Newcastle over the past few months and there is no doubt that there have been discussions between us there respective clubs. These players are Matthieu Debuchy, Douglas and Andy Carroll. He has perhaps been the most heavily linked player to the Toon this Summer, but for some reason he still remains at French champions, Lille. Although he has publicly announced that he is “100% committed to leaving”, the likelihood of a deal being struck between Newcastle and Lille are looking very slim. Despite the French club signing a right-back replacement in Djibril Sidibe, the club chairman, unbelievably, remains reluctant to let him go. The Daily Mail yesterday reported that Newcastle may be submitting one final £6m bid for the France international, but the suggested fee still appears to be below what the French chairman is looking for. I can’t see him being let go for such a small price, especially after the way he played in the Euros this Summer. Standing at a staggering 6 ft 4 in, Douglas is strong and powerful in the air, an asset which makes him deadly from set pieces. His impressive goalscoring record from defence, coupled with his European experience with his club FC Twente has rightly attracted the talented Newcastle United scouting team. But yet again, the seemingly determined interest has not been matched with a completed deal. Fulham had offered £4million for the Dutch defender and it had supposedly been accepted, but since then it’s gone very quiet and rumours have surfaced suggesting the deal may be dead. If Newcastle were to offer £4.5million, we may be able to pip the London club to the lad. 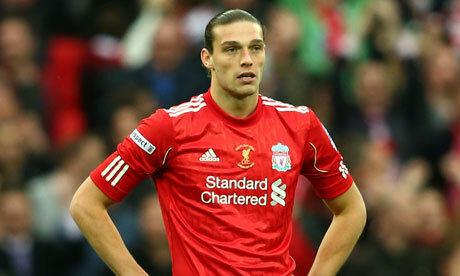 Obviously much has been made of Newcastle’s pursuit to re-sign their former striker Carroll, who they sold to Liverpool for a bumper £35 million last January. His 18th month spell at Anfield has been fraught with disappointment and poor performances, but there have been moments of brilliance that everybody knows he’s capable of. We all know how good he is when he’s on form, but we haven’t seen that lethal goalscoring touch since he left the club and this is precisely why he could be making a return. We made a loan bid for him back in July but that was quickly turned down by the Merseyside club. West Ham have since expressed interest but the only place he seems willing to go is to a ‘bigger club’ or back to Newcastle (and you could argue that Newcastle fit that bracket!). Five days ago, Pardew said that the club would not budge on their original £12m bid. The Liverpool club seem unlikely to sell at a cheap price, and our holding out for a bid of at least £20m. If we were to sign another player before the Friday deadline, it is likely to be one of these three players. Comparing the situations at all three clubs, it looks as though Andy Carroll is the most likely to sign, despite that being pretty unlikely in the first case. But who knows, the scouting team have developed a habit of surprising us and it could be someone completely different. Personally, I’d rather see a defender come in, either Debuchy or Douglas, to give us that extra bit of fortification, but many Toon fans seem to welcome the opportunity to see Carroll again in the famous black and white stripes of Newcastle. Although our squad is beginning to look more and more like a top 4 team, there is no doubt that we need to reinforce the playing roster, both to provide cover and the extra cutting edge. Whoever this final signing is, let’s hope it’s the right choice. Would you welcome Andy Carroll back to SJP? Or would you rather see a more defensive player coming in? 1 Comment on A Look at Who Newcastle’s ‘Final’ Signing Should Be?